Ameeri Industries Company WLL has announced it is looking forward to the manufacturing of solar energy systems on its new premises at the Bahrain International Investment Park (BIIP) in Hidd. 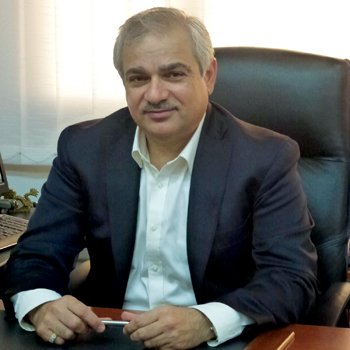 Adel Ameeri, the company’s executive director, said the new line was in pursuit of “a more clean renewable energy.” It will be part of the Ametech segment of Ameeri Industries’ electrical division, one of the company’s two main divisions, the other being mechanical. Adel did not give further details of the solar systems project, saying they would be announced later. 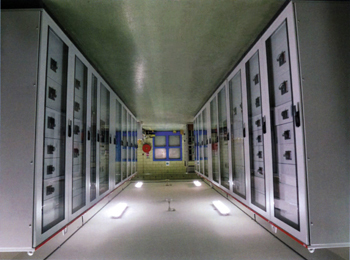 The company is a leading manufacturer of electrical products such as DBs, panels, feeder pillars and cable trays, among other items. It is the only franchised panel builder of ABB in Bahrain. Adel also announced that its Amgard brand within the mechanical division had expanded its operational area to accommodate the needs of the GCC and bigger jobs. “This will allow Ameeri Industries to increase fire-proof doors’ capacity from 5,000 tonnes to approximately 8,000 tonnes per year,” he said. 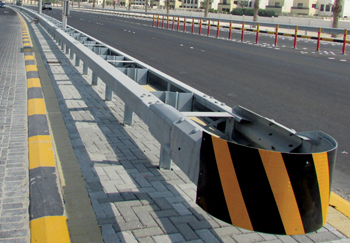 Amgard, located in the Askar area, next to Alba, is the sole manufacturer of street light poles and street crash barriers in Bahrain. It owns and operates the largest hot dip galvanising plant in the country. Amgard now consumes around 5,000 tonnes of steel annually for its operations. Prospects of greater business in the Gulf’s construction and infrastructure sectors prompted the company to embark on expansions in its main divisions, the company said. “Ametech has achieved great success along the years with the persistence to scale higher heights and increase capacity to meet the needs of neighboring countries and even beyond,” he observed. Adel pointed out that Ameeri Industries has at the plant site a multipurpose hall dedicated to exhibits and seminars and to which university students would be invited. He described it as one of a kind in Bahrain. “With the new plant, Ameeri Industries will expand and enhance the range of domestic and industrial light fittings manufactured and assembled under the Amelite brand. The company is looking to increase export rates of its Amelite brand, especially for street light fittings. The enhanced testing labs will enable the company to provide to the market different light fittings that are ready to compete with international brands,” said Adel.